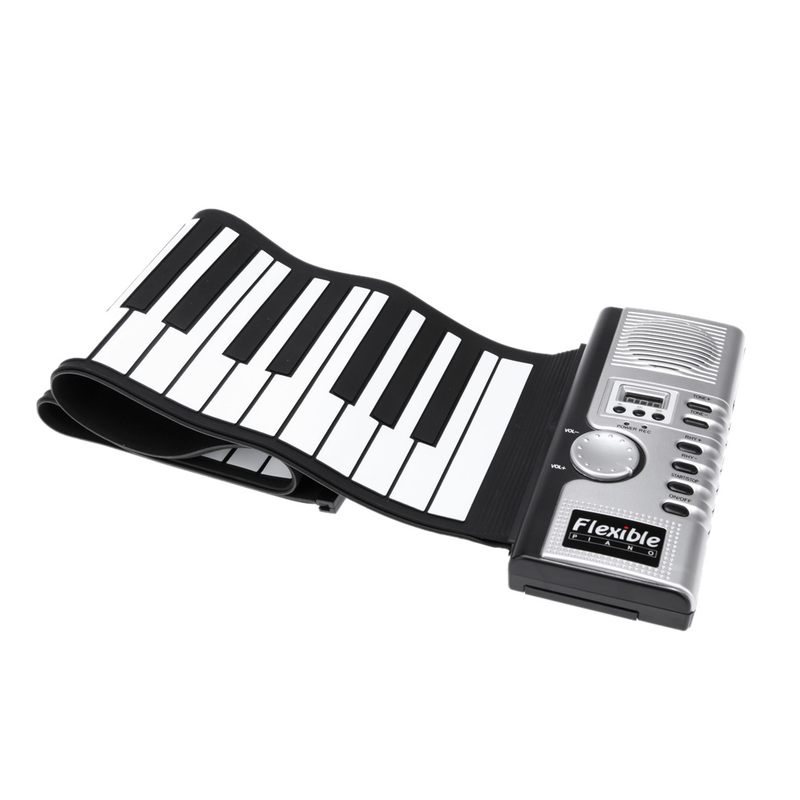 This Portable Electronic Piano is foldable and can be hand-carried and play it anytime and anywhere, also be rolled up for easy storage in you hand bag or carrying case.You can connect headphone to the jack on piano, enjoy quiet practice, or connect an external speaker, a live concert for your whole family. 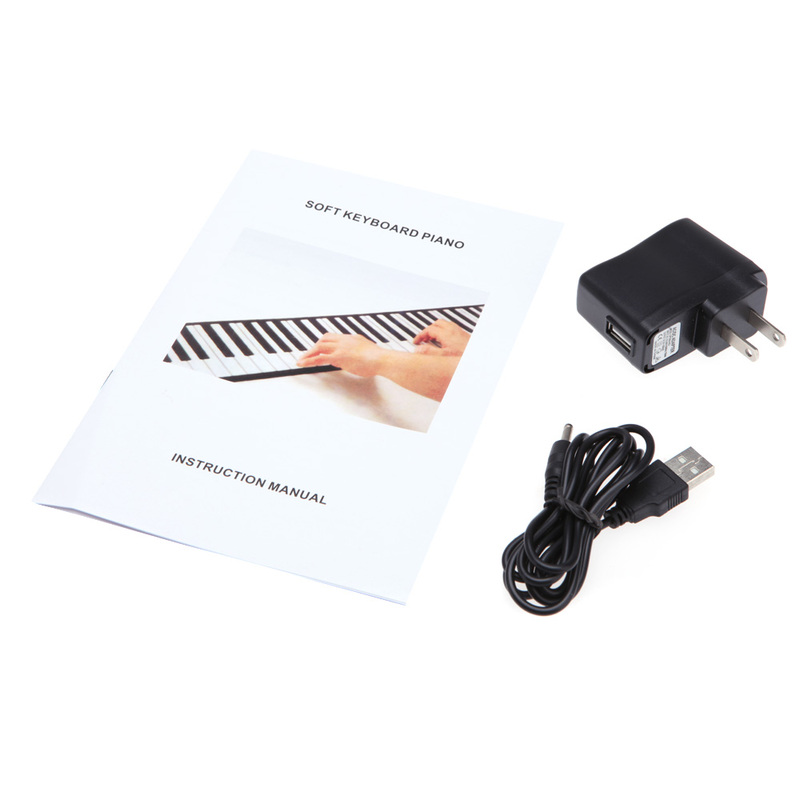 It can last for up to 12-15 hours of playing time,You can also plug the piano into a proper electrical outlet with a DC 6V adapter. 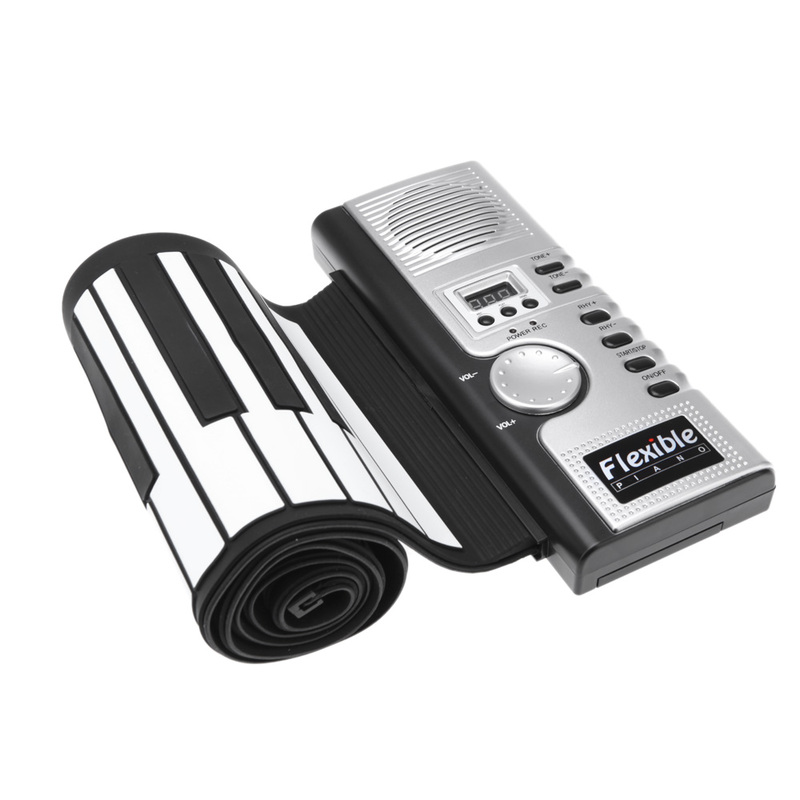 Music toy for both adults and children. Many functions you can select on the control box. 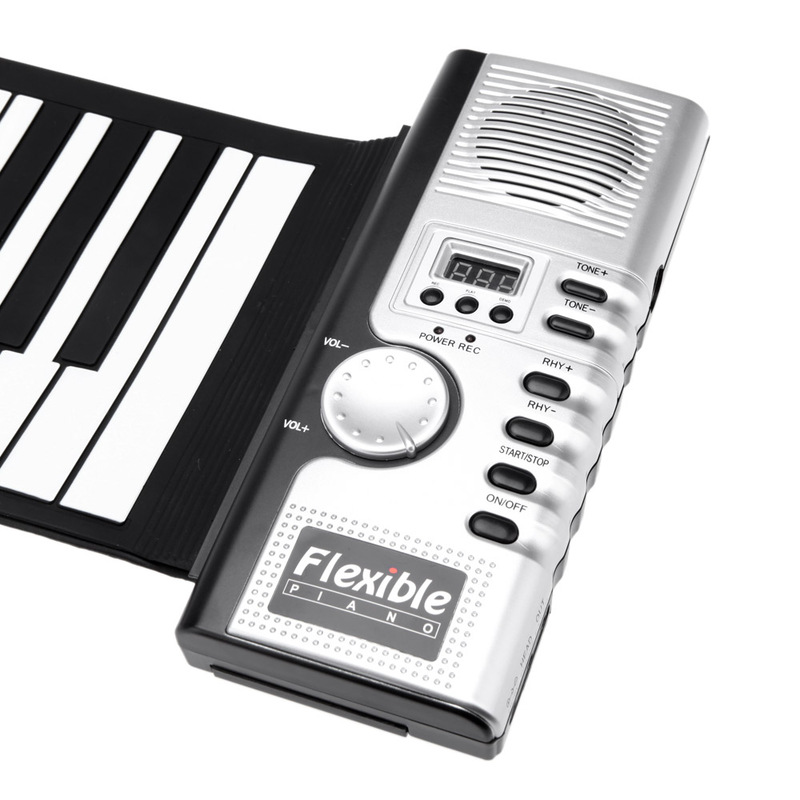 Especially suitable for children to develop an interest in music. 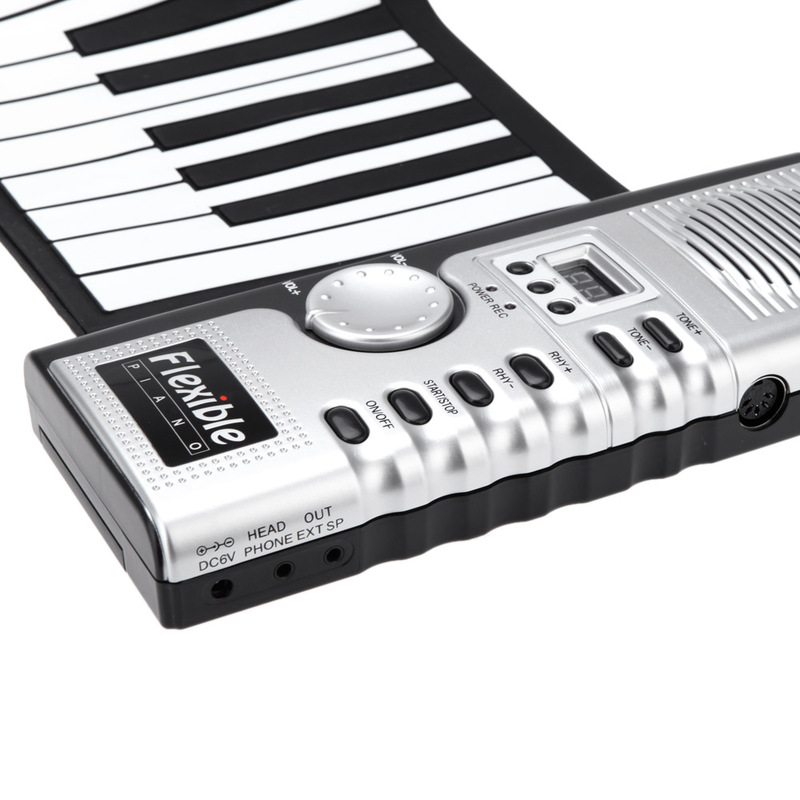 Compatible with Cakewalk, Sonar, Cubase, Nuendo, etc, major sequencer software etc. 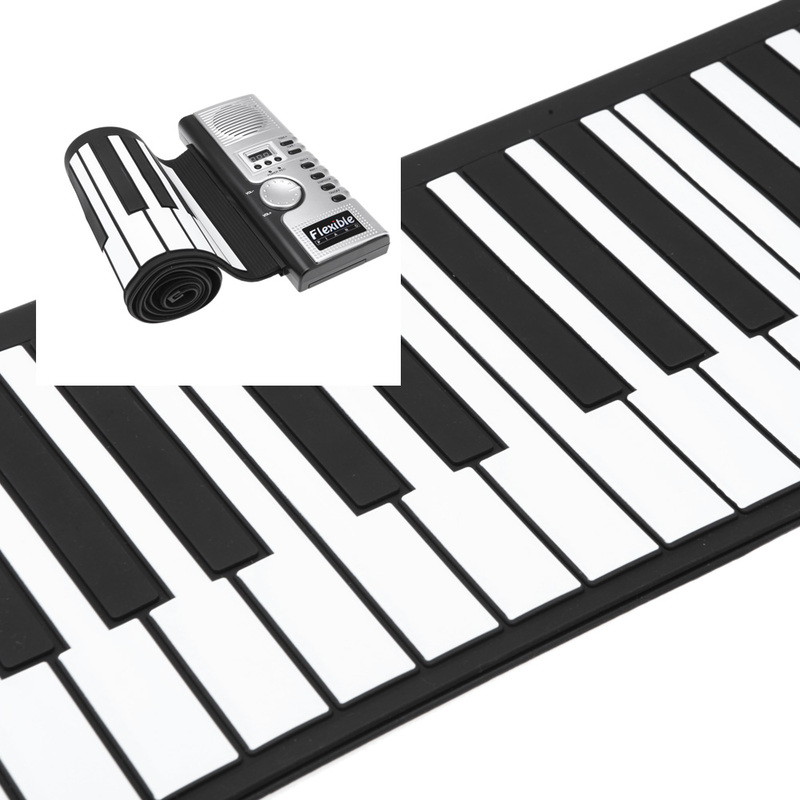 Makes you feel absolutely the same as real piano.Play, record and edit your music easily and freely. 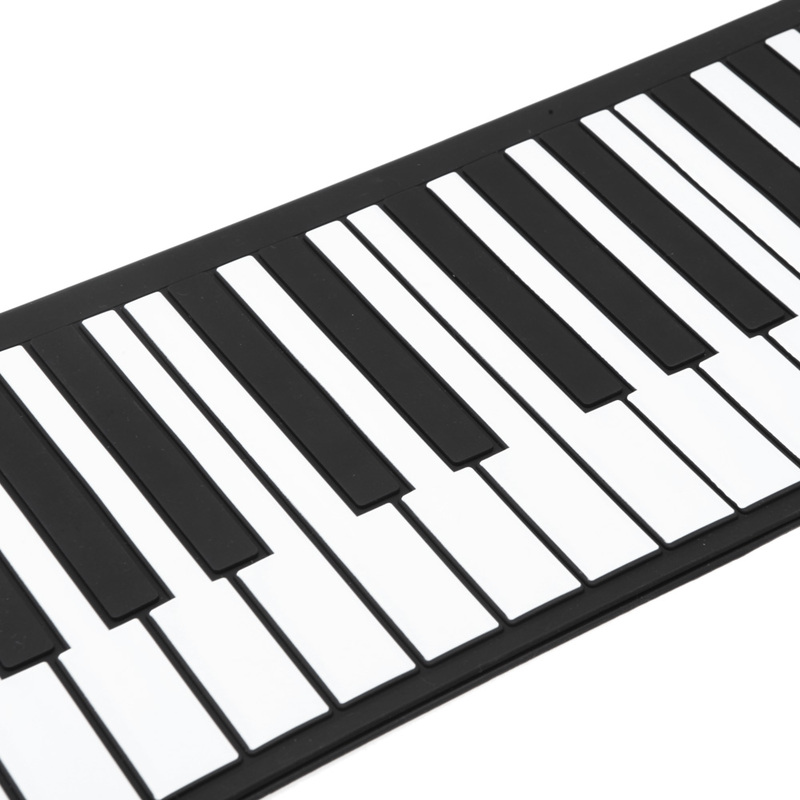 keyboard: 34.65 x 6.85 x 0.20 inch. Power supply: 4 x 1.5V AA batteries(Not Included). ON / OFF: Power key. DC 6V: DC jack connect (6V). PLAY: Play the recorded music. OUT EXT SP: Speaker jack. HEAD PHONE: Head phone jack. VOL+ / VOL-: Volume control bottom. START / STOP: Start/stop Demo song or Rhythm Key. 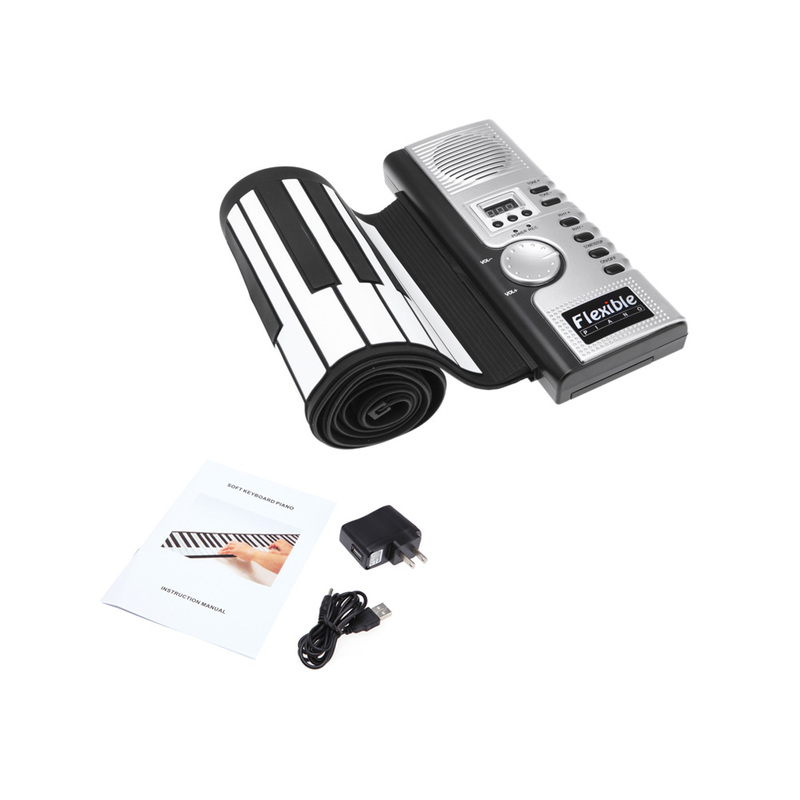 1 x Portable Electronic Piano(61KEYS).